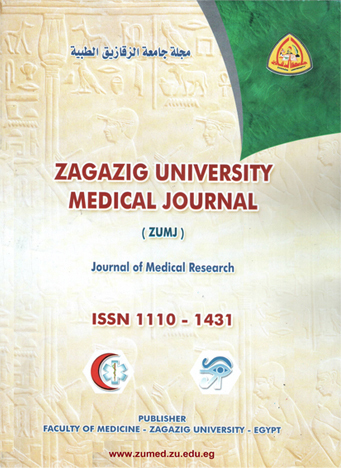 Cardiology Department, Faculty of Medicine, Zagazig University. Aim of the work: to study the relationship between HbA1c, IR as predictors for the severity of CAD in chronic stable angina and Systolic Heart Failure in Non-Diabetic Patients. Patient and methods: This study was done in Cardiology department, Zagazig University on 100 patients; 64 males (64%) & 36 females (36%), our patients with CAD were grouped according to Ejection Fraction (EF) into G1 with EF>50%, G2 with EF<50%. They were fatherly divided according to positive family history (FH) of DM; G1a with -ve FH, G1b with +ve FH, G2a with –ve FH, G2b with +ve FH. We searched for IR by measuring HOMA-IR and measured fasting Blood sugar (FBS) and HbA1c as markers of glycaemia. Coronary angiography was done and severity of coronary artery disease was calculated by Gensini score. Results: In our study we discovered a cutoff point = 5.5% for HbA1c to predict the systolic heart failure. It showed a good specificity and fair sensitivity (73.5%, 43.9%) respectively. There was a highly statistical significant difference between HbA1c and number of coronary arteries affected (X = 9.7, p =0.004). As regard HbA1c and Gensini score, there was a highly statistical significant difference (X = 10.5, p =0.001). We also discovered a cutoff point = 1.9 for HOMA-IR to predict the systolic heart failure in our study. There was a significant relation between Gensini Score and dyslipidemia(r =0.337, p= 0.001), hypertension (r = 0.255, p = 0.011) and fasting blood sugar (r = 0.229, p = 0.022). There was also a significant correlation between systolic heart failure and dyslipidemia (r =0.315, p= 0.001) and hypertension (r = 0.251, p = 0.012) in non-diabetic patients. Conclusions: We conclude that in non-diabetic patients with CAD, HbA1c above the cutoff point 5.5% can predict an increasing severity of the coronary artery disease and the number of the affected coronary arteries.